Relax with a hot stone massage at Barkley Massage & Chiropractic in Bellingham. Whether you want to relieve a build-up of everyday stresses or to treat a chronic condition, our team of licensed and thoroughly vetted massage therapists is here to help. Relieves symptoms of autoimmune diseases, like rheumatoid arthritis and fibromyalgia. Are Hot Stones Right For You? While this massage technique does a lot of good, it could do more harm in certain situations. Hot stone massages are not recommended for pregnant women and people with high blood pressure, severe osteoporosis, heart disease or diabetes. For your health and safety, please consult a doctor before making an appointment if any of these apply to you. If you currently have sunburns, a bone fracture, or an open wound, consider waiting until your injury has fully healed before scheduling your massage. Even though hot stone massage may not be for you, we offer a variety of other massages at Barkley Massage & Chiropractic. Our staff will help you find the best therapy to suit your needs and preferences. If you have any questions or concerns, contact your doctor or us before booking your appointment. 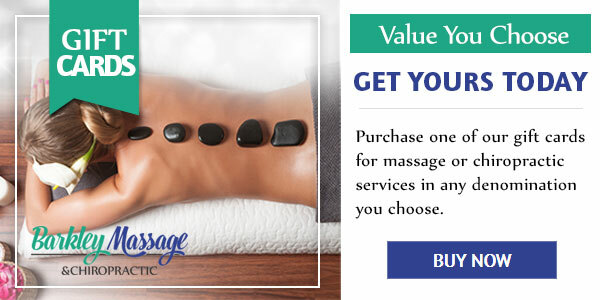 You can enjoy the benefits of a hot stone massage at Barkley Massage & Chiropractic in Bellingham, WA. Our office is open seven days a week, including evenings. Fit us into your schedule and you won’t be disappointed. We can guarantee that you’ll feel refreshed and rejuvenated after your session. Contact us today to schedule your appointment. 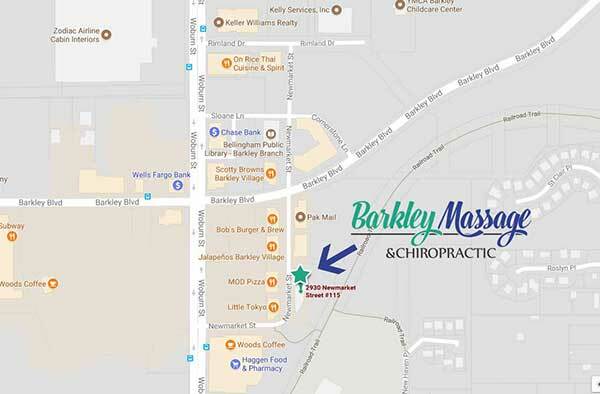 Barkley Massage & Chiropractic is centrally located in Bellingham, WA with ample parking. We offer relaxing and therapeutic massage, as well as chiropractic care all at one convenient location in Bellingham, WA. We’re close to the following areas: Bellingham, Lake Whatcom, Western Washington University (WWU), Bellis Fair Mall, Ferndale, Everson, Lynden, Blaine, Sudden Valley, Deming, and surrounding neighborhoods.